At the age of fifteen Phineas May took a postal course at the London School of Cartoonists and later studied part-time at the Central School of Art. He was involved in Jewish communal service from 1935 onwards and later Custodian of the Jewish Museum in London until 1991. 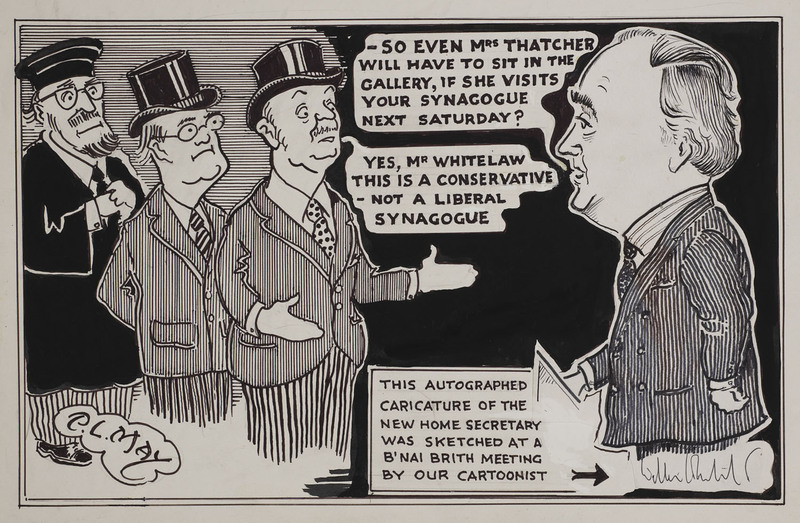 He served in the British Army in the Second World War and produced some 400 cartoons, now in the Imperial War Museum. In 1939 Phineas May and his brother Jonas were appointed by the Central British Fund for German Jewry to create and administer the Kitchener Camp, a transit camp in Sandwich, East Kent. 4000 young men came to the camp waiting for permanent settlement overseas. The whole rescue was funded by the British Jewish Community with help from American Jewry. Phineas May was a member of Hampstead Synagogue and was the Shul's Administrator from 1960 to his retirement in 1971. 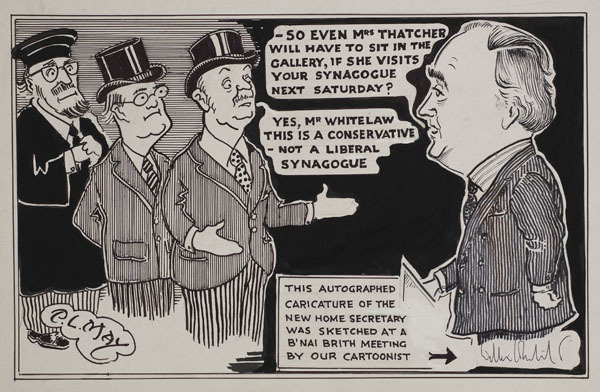 He published "A Cartoon History of Anglo-Jewry" in 1980. Number 7 in a portfolio of 17 cartoons.